The idea of plastic surgery can be an exciting thought, especially when it comes to the results. However, the surgical procedures themselves may not be an option for those with a busy lifestyle. At the Beverly Hills Center for Plastic & Laser Surgery, Dr. Talei, a dual board certified facial plastic surgeon has a host of non-surgical and non-invasive treatments that can accomplish many of the same results. Through many of these procedures, facial features can be lifted, tightened and rejuvenated without ever having to go under the knife. What’s more, your skin can be renewed through several of these practices giving way to smooth, healthy and glowing skin. 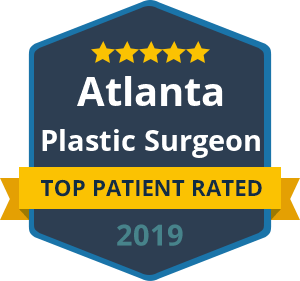 If you would like to experience the results that traditional plastic surgery can provide but can’t undergo the surgical procedure or downtime, then non-surgical and non-invasive treatments could be a fit. Dr. Talei is a highly skilled surgeon in the Beverly Hills area with dual fellowship training in facial cosmetic and reconstructive surgery and vascular birthmarks and congenital anomalies with laser surgery. Contact the non-surgical & non-invasive treatments specialists at the Beverly Hills Center for Plastic & Laser Surgery to schedule your consultation with Dr. Talei today. During your consultation, you can discuss your problematic areas and ideal results. Dr. Talei can then prescribe the treatment that’s best suited for your goals and needs.